The Element has long been Rocky Mountain’s purpose-built cross country race machine, first appearing in their catalog in 1996. 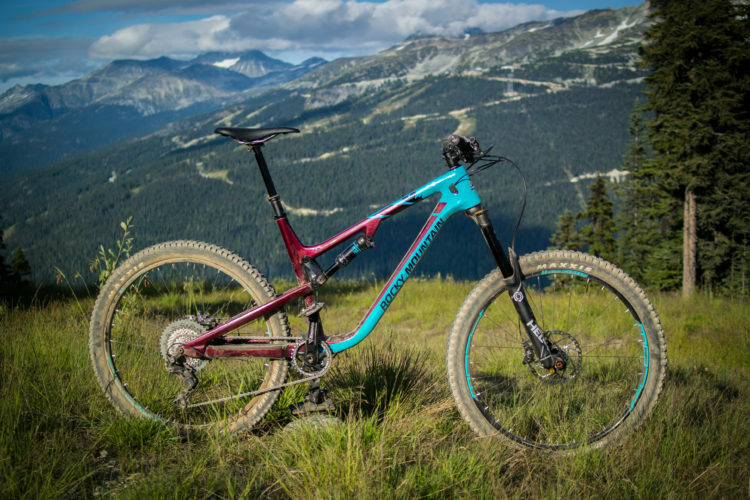 Over the past two decades Rocky has tweaked, updated, and overhauled the Element regularly to keep it relevant — including the most recent 2017 model tested here. 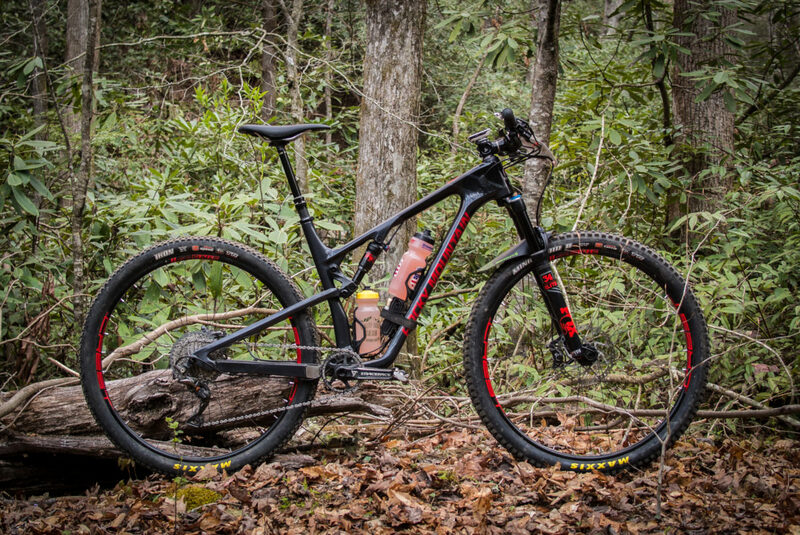 It’s more capable than ever thanks to an increase in front travel, revised geometry, and smart component spec, but it is still a race bike first and foremost. 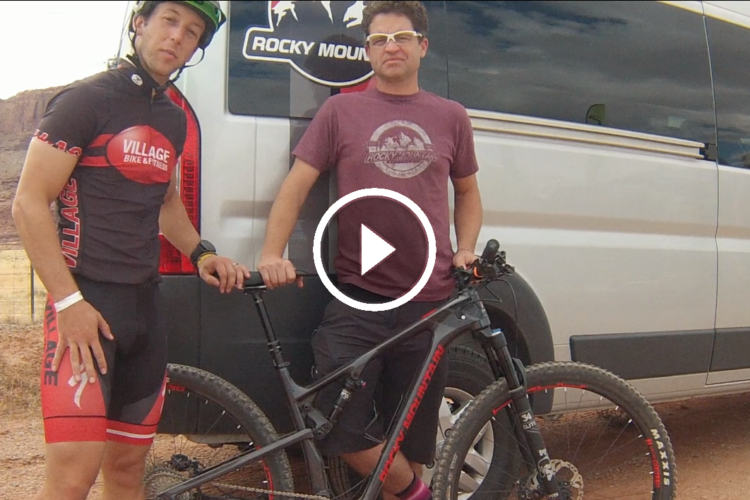 Rocky Mountain hasn’t turned the Element into a trail bike, rather it’s the changing nature of XC courses that place higher demands upon the bikes and riders. 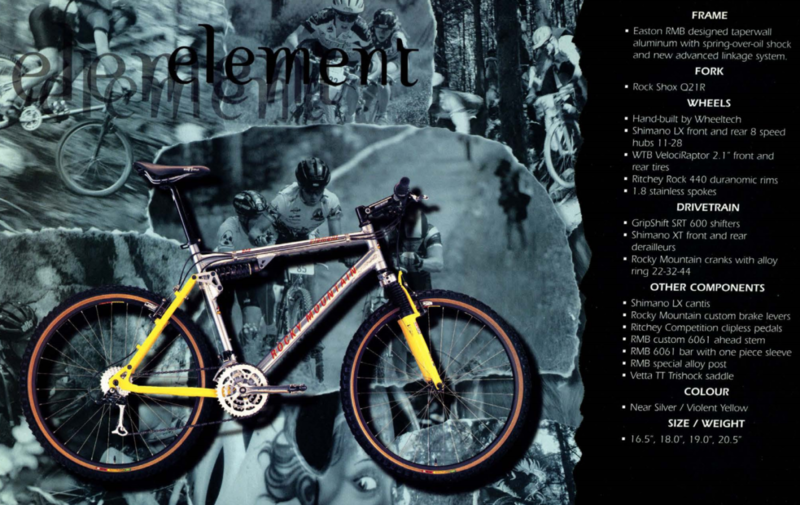 The original Element as seen in Rocky Mountain’s 1996 catalog; Radical! 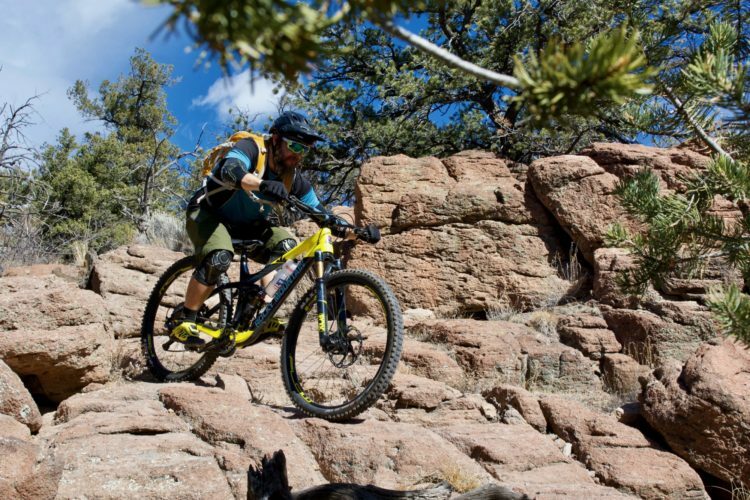 I spent much of the spring and summer aboard a 2017 Rocky Mountain Element, “competing” in events such as the Pisgah Stage Race and PMBAR, and undertaking numerous backcountry missions. Throughout my testing, the Element proved itself confident and capable in every situation encountered. It likely comes as no surprise that a $5,300 bike performed well, but it’s the little details that really set the Element apart in a sea of good bikes. Two bottles?! Inside the front triangle?!?! With room to spare for a tube and CO2?!?!?! It’s a racer’s dream come true. Rocky sent me the 970 RSL model of the Element, which sits around the middle of the line. The least expensive complete Element is the 930 RSL which sells for $3,500; the most expensive is the World Cup-ready 999 RSL at $9,400. 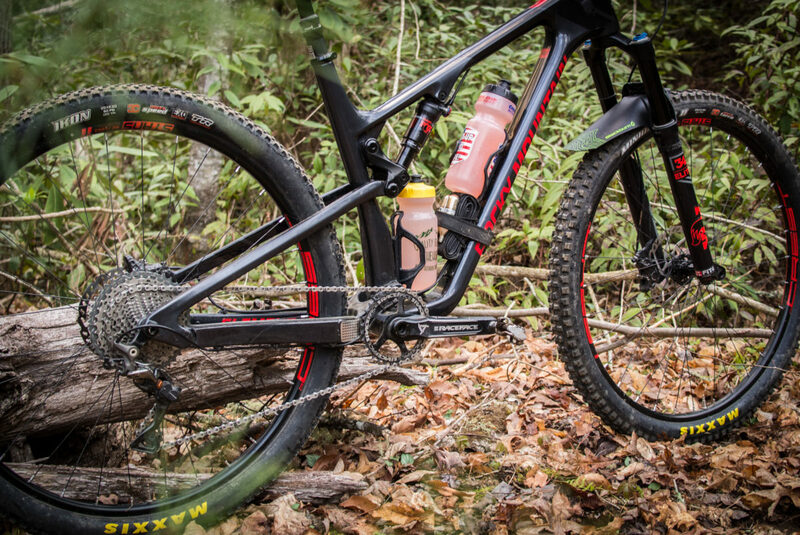 A frame with a Fox Float Factory shock is available for $2,549. No matter which model you choose, you get the same gorgeous, full-carbon frame, including carbon seat and chainstays. Visually, it shares a similar silhouette with the previous generation, but the junction around the bottom bracket was heavily reworked. There’s now room for two water bottles inside the front triangle. 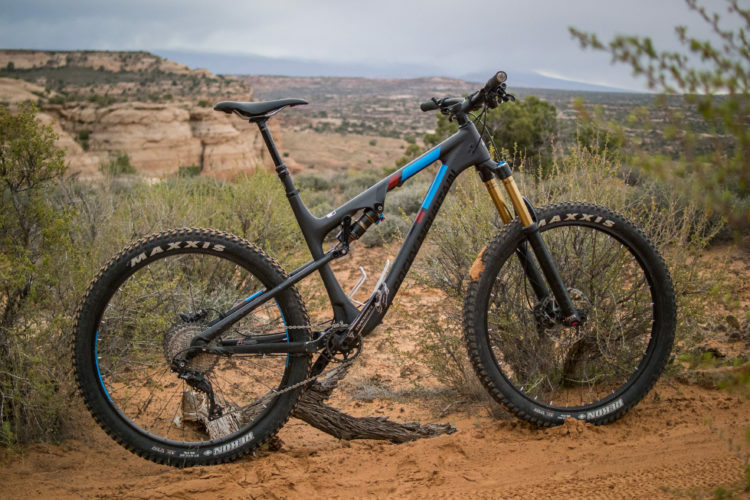 Rocky further cleaned up the appearance with single-sided hardware at the chainstay pivot, similar to what they’ve done with their other new carbon bikes — the Maiden, Slayer, and most recently, the Altitude. All cables and hoses are routed internally, at least through the front triangle. The rear brake hose and rear derailleur cable exit the downtube just ahead of the bottom bracket and run externally to their final destinations. The hose for the dropper post also exits at the same spot, but it quickly reenters the frame at the seat tube. Small plastic covers hold the cables and hoses secure and did their job well — I didn’t hear any rattles coming from inside the frame. Rocky Mountain specs all Elements — save for the BC Edition — with a remote lockout for the rear shock. I thought about pulling it off before heading out on my maiden ride, partially because I thought it unnecessary, and also because I’m OCD about my cockpit setup. 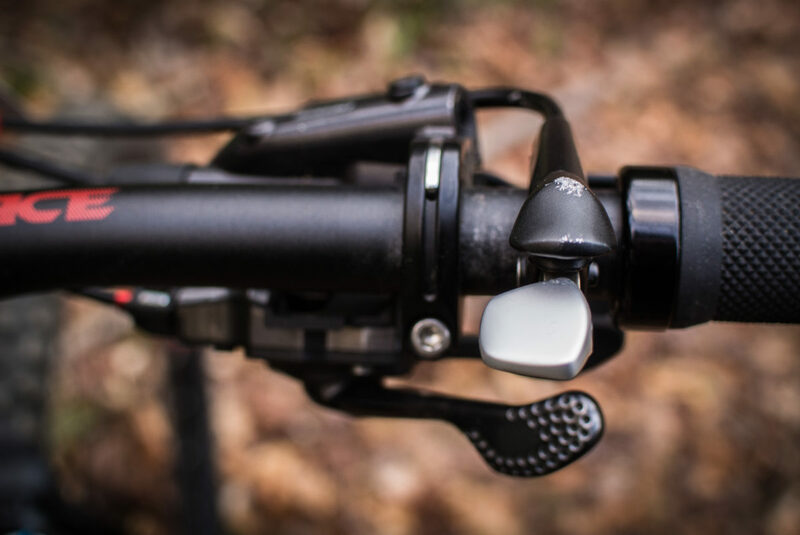 With a dropper remote, the lockout remote, brakes, and a rear shifter, there’s a lot going on up front. But, removing the remote meant the shock would always be in the open position, so I left it on the bike. I did, however, swap the positions of the lockout remote and the remote for the dropper. My bike showed up with the dropper remote on the right side of the bar mounted above the shifter, and I could not abide. It took the better part of an expletive-filled hour to complete the task due to the internal routing, but the result was an ergonomically-friendly cockpit. 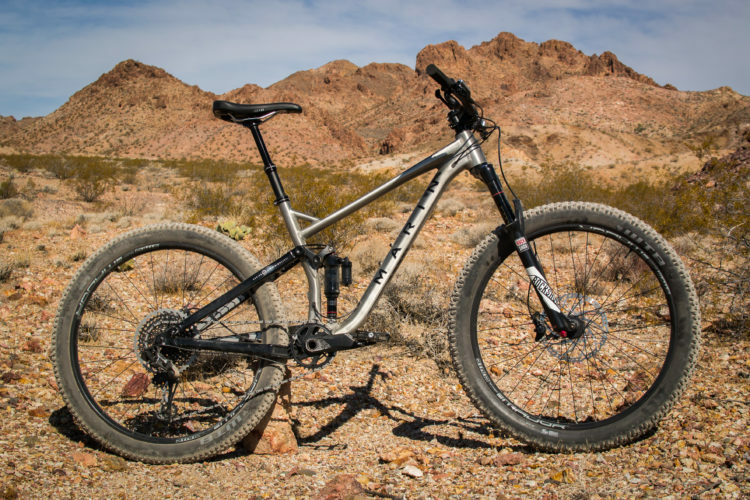 It can get a bit confusing with all the possible geometry combinations thanks to Rocky’s Ride-9 System, but in general, the Element has gotten longer and slacker when compared to its predecessor. Rocky has an excellent Ride-9 setup guide on their site that details the various positions. As for the components on this particular Element, there isn’t much to fault. 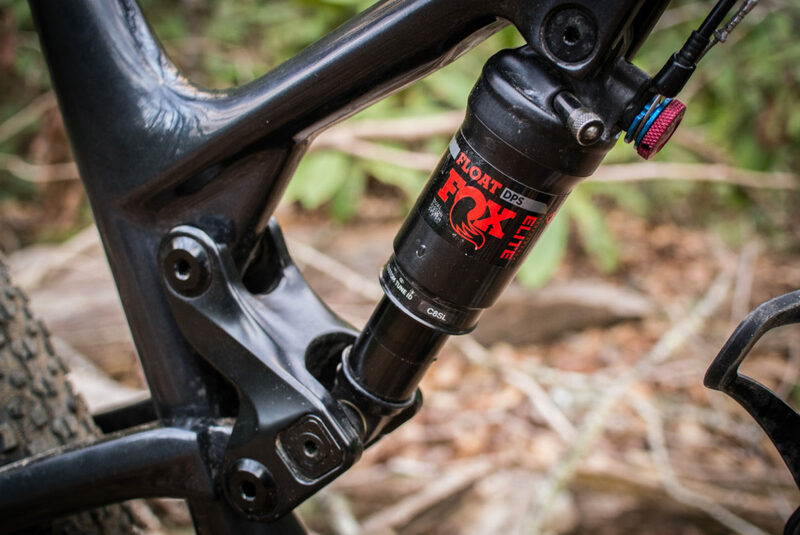 Fox covers the suspension front and rear with a 34mm-stanchioned Float Performance Elite fork, and a Float DPS Remote Performance Elite shock, respectively. I prefer their blacked-out appearance to their more expensive Kashima coated siblings. Again paying attention to the details, Rocky elected to use a “Kabolt” thru axle on the fork along with a tooled rear axle. The tooled axles may slow down wheel changes a bit, but they also save substantial weight. Fox claims the Kabolt weighs half as much as their standard 15QR axle. 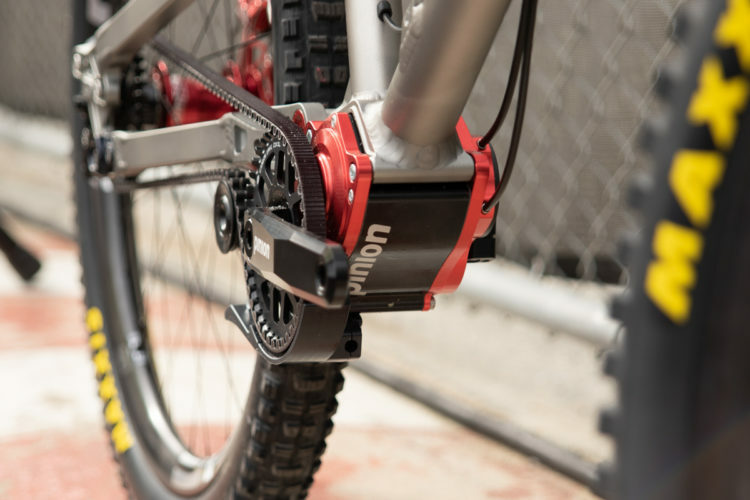 Shimano covers most of the 1×11 drivetrain with an XT shifter, cassette, and chain, mated to an XTR rear derailleur. 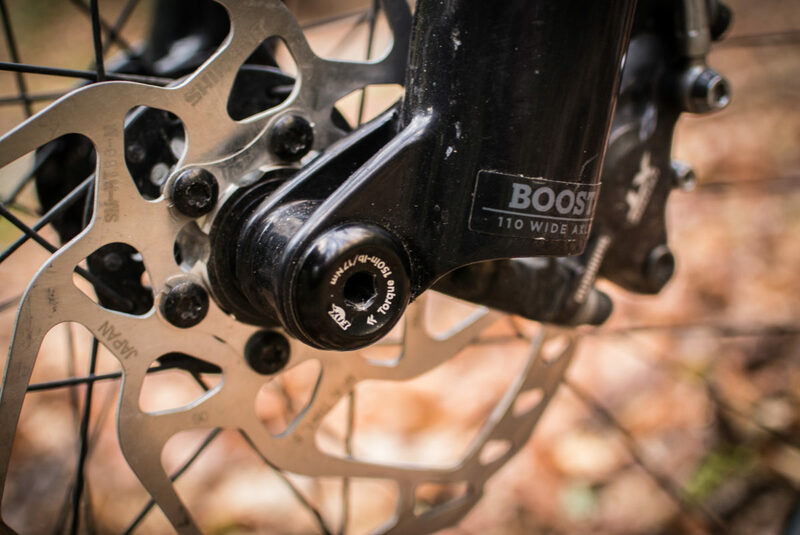 Stopping duties are handled by Shimano’s XT brakes with 180mm (front) and 160mm (rear) rotors. Rocky specs a lot of RaceFace components across their range and the Element is no exception. RaceFace supplies the cranks, 760mm wide handlebars, and an 80mm stem from their Turbine line for this build. 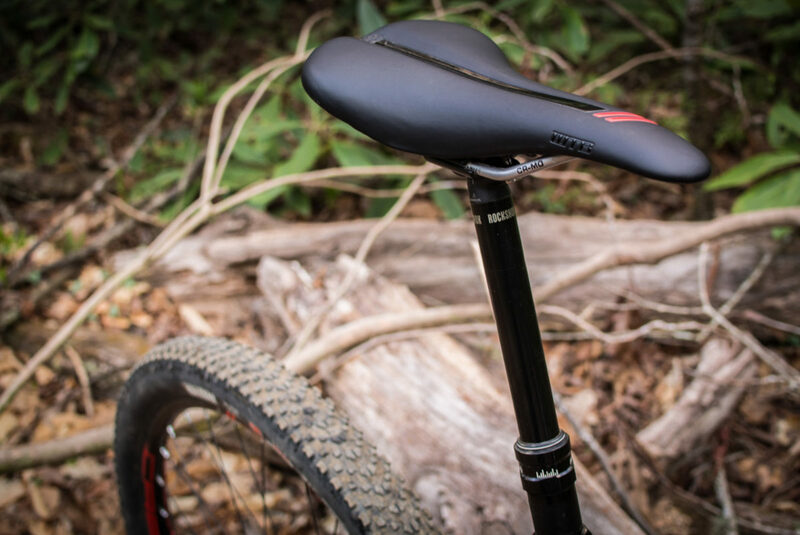 A 150mm travel RockShox Reverb dropper post gets the WTB Silverado saddle (a personal favorite) waaay out of the way on descents. It’s awesome to see companies speccing droppers on XC race bikes; it’s even more awesome to see one with 150mm of travel! The wheels are really the only place I might dock a couple points; I’d like to see some nicer hubs at this price point. 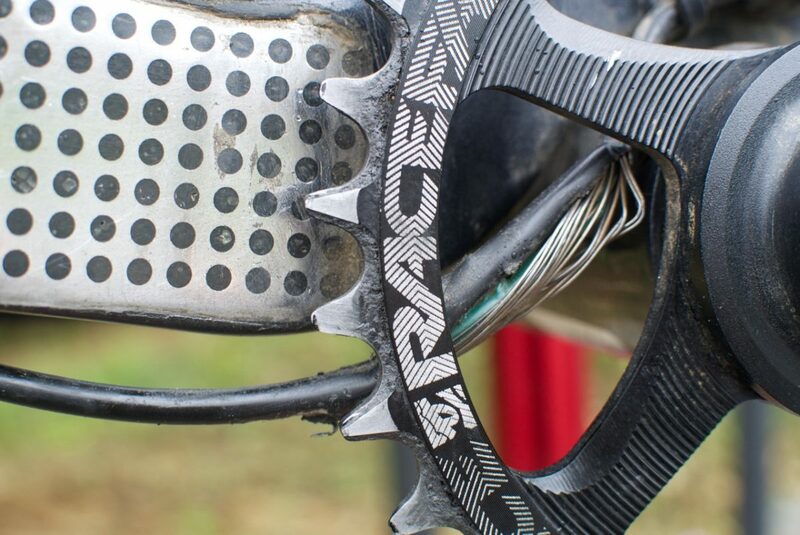 Engagement from the rear SUNringlé SRC hub was just okay, and the front Rocky Mountain-branded hub developed some side-to-side play, with no way to adjust it. That said, I was very impressed with the Stan’s Crest MK3 rims despite my early skepticism. I’ve ridden plenty of Crest rims in the past, and found them to be a little light for my 200+ lbs. frame. 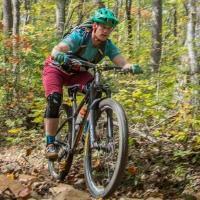 Not so with the Crest MK3s: they shrugged off an entire week of racing in Pisgah. 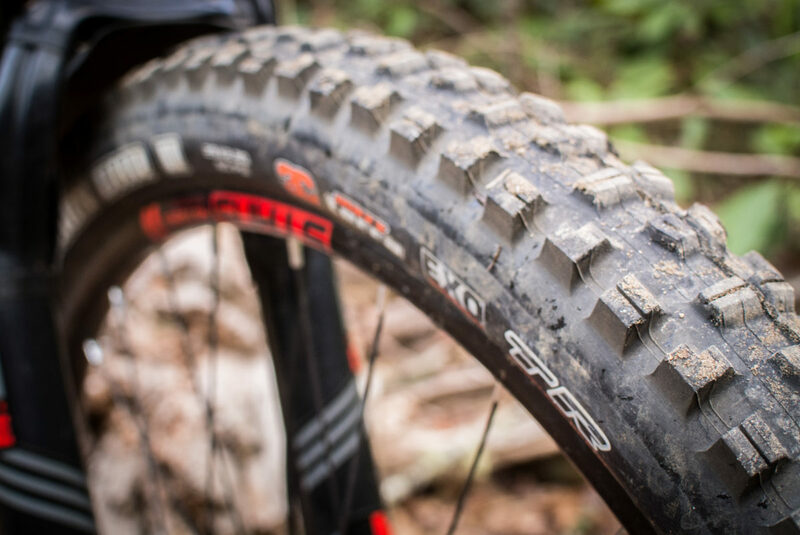 Typically, this model Element comes with Maxxis Ikon 2.20″ tires front and rear, but Rocky set me up with a Maxxis DHR II 2.30″ in the front since they knew I was racing in Pisgah. 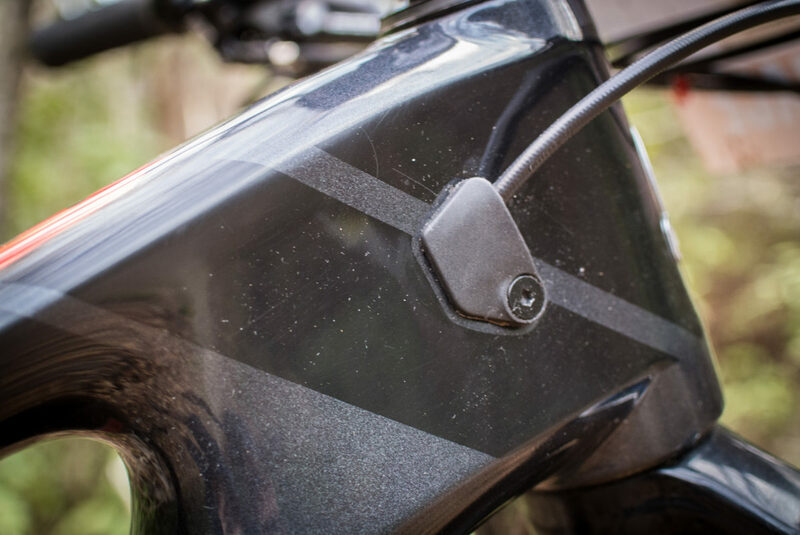 The Ikon rear, DHR II front is one of my preferred combos for any XC or light duty trail bike. My size-large test bike weighed in at 26 lbs. on the nose, sans pedals. 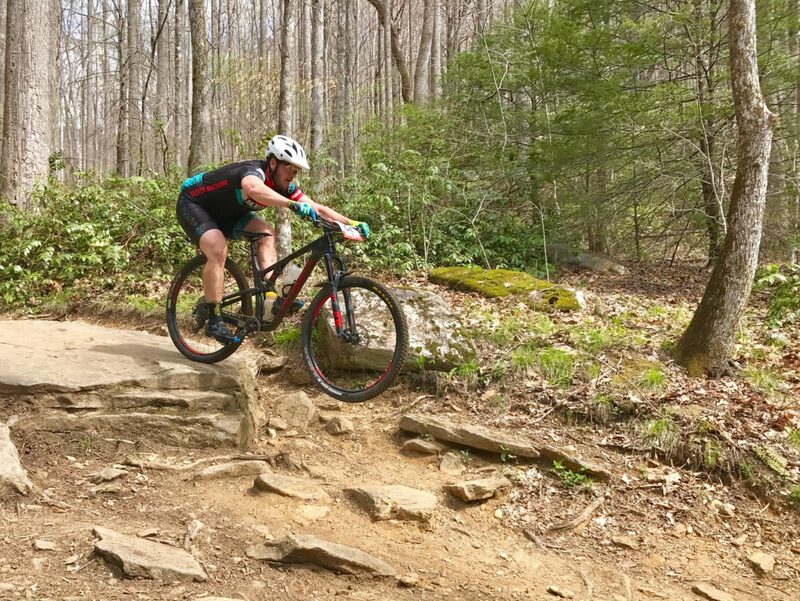 I got exactly one ride in on the Element before heading up to Brevard for the Pisgah Stage Race in April. That ride was on a local trail system I ride frequently. Checking stats post ride showed a slew of new personal records going up and down. I expected to be fast on the climbs with the combination of the bike and my training, but I didn’t figure my descending would be anything special. I chalked the results up to that new bike juju we all get. However, this PR-busting trend continued the next week in Pisgah. Day after day, I set new PRs on sustained big mountain descents that I’ve ridden on bikes with 50-60mm more travel. 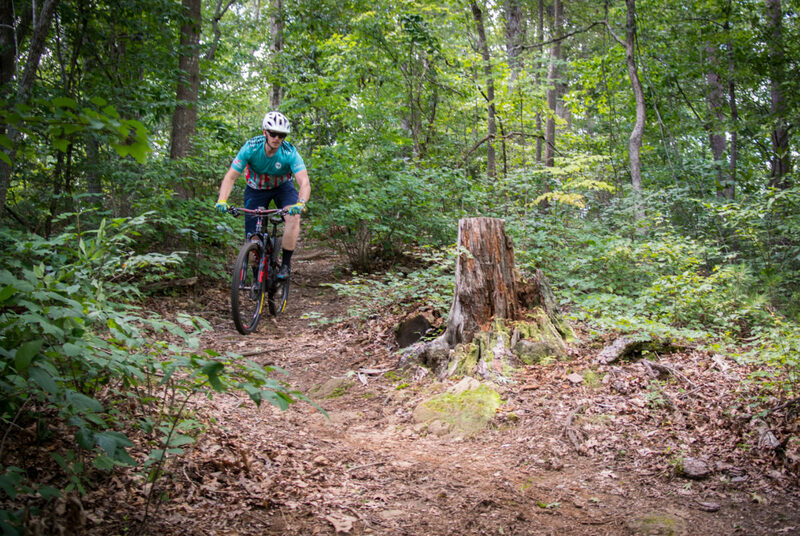 Classic rowdy Pisgah descents like Upper and Lower Black Mountain, Pilot Rock, Daniel Ridge, Avery Creek, and even Farlow Gap didn’t faze the Element. Descending felt best with a rearward weight bias. Drop the saddle, get your weight back, ride light on the fork, and let the bike eat. After the first couple stages I actually dropped a little pressure from the fork because I wasn’t using full travel. 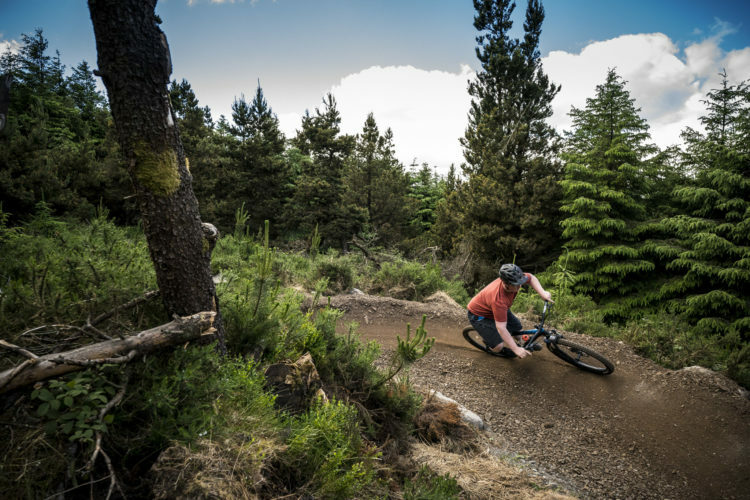 This change improved traction making me even more confident on the descents, with the added benefit of more comfort and control in slow speed technical sections. How Rocky managed to eke out that much descending performance from such a diminutive rear shock is beyond me. I consistently pushed the fun indicator to the end of the shock shaft, but never felt any harshness at full compression. The frame itself is incredibly stiff and the wheelset proved stout despite the light rims. I threaded through trees with precision, shoved it forcefully into berms, and dropped into rocks without hesitation. The Element isn’t the most playful bike going down, though. 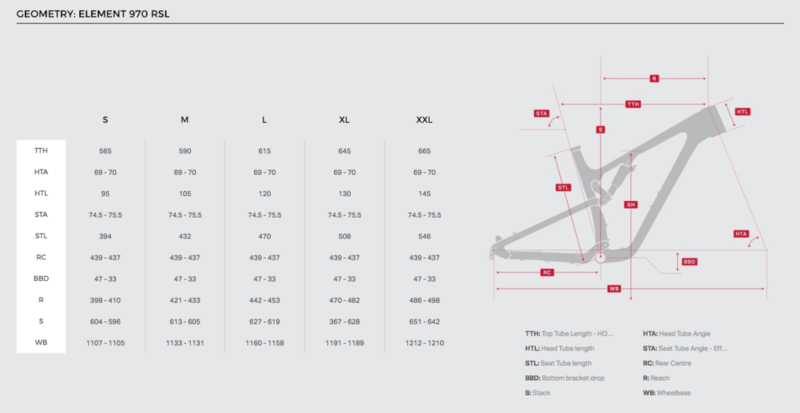 Its chainstays are about average for a 29er, certainly not stubby, and it has a substantial wheelbase — around 1,160mm for the large. That length gives it a planted feel at speed, but makes the Element a bit reluctant to put its front wheel in the air. Nevertheless, the low 26-pound weight does prevent it from feeling cumbersome. A competent pilot can switch lines without much fuss, but plow mode is the Element’s preferred setting. After all, it’s a race bike and the fastest line down the mountain is typically the straightest and closest to the ground. 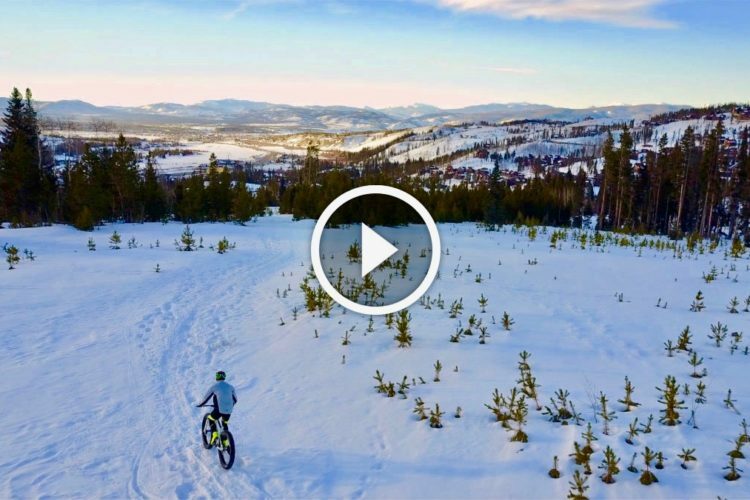 It may seem odd to start the “On the Trail” portion of an XC bike review writing about how the bike descends, but it was truly that impressive. Plus, climbing prowess is expected in this category. Otherwise you’ve screwed something up, right? In terms of climbing, the Element did not disappoint. I came to employ the aforementioned shock remote nearly as much as the dropper post, which totally surprised me. As opposed to just being an on/off switch, there are three modes: open, climb, and locked. The bike is probably efficient enough for most in the open setting, but I appreciated the middle setting for singletrack climbs and pumping smooth descents, and the lockout for gravel, pavement, and sprinting. Every bit of energy saved during a race matters. General pedaling performance was excellent as well. The Element’s steep seat tube angle kept me in a comfortable position for laying down the power on the flats or spinning gingerly uphill. That steep seat tube along with the XC-appropriate head tube angle made it easy to keep the front wheel tracking true, no matter how steep the grade. 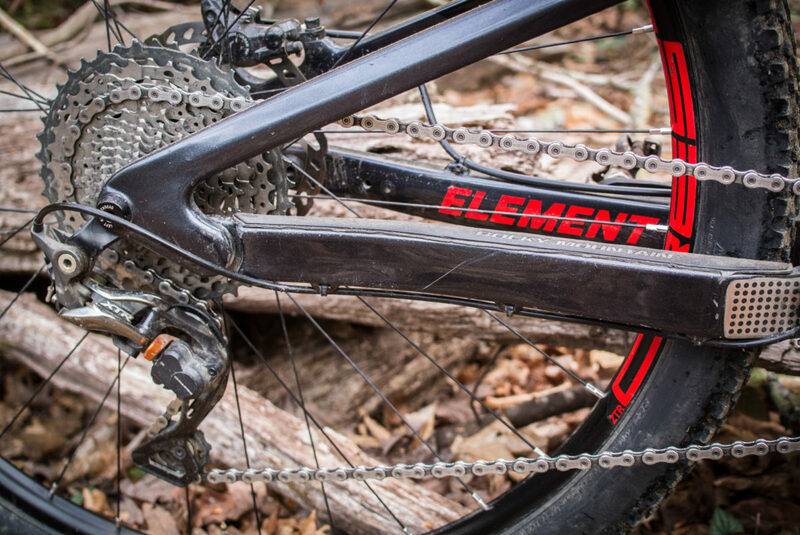 Rocky sent the Element with the Ride-9 system in the middle, “neutral” position, which gave the bike a 69.5° head tube angle and a bottom bracket drop of 40mm. I found this position to be ideal for the Pisgah Stage Race where the trails are technical, but also pedally. With a higher than is fashionable BB, I could keep on pedaling through the chunk without fear of smacking pedals. Not having to plan out every single pedal stroke does wonders for your mental state mid-race. After the stage race I moved the chips around to the slackest position. Doing so not only adjusted the geometry, it also changed the suspension rate — in this case, making the Element softer off the top of its travel. The BB dropped by 7mm, but remained at a reasonable height. I liked the feeling of the slackest position enough that I left the Element there for the remainder of the test. If I were to do the Pisgah Stage Race again, I’d move it back to the neutral position for the improved clearance. Perhaps if I was doing classic XC races, I’d use one of the steeper settings. I wore this bike out. Granted I wasn’t the first tester to ride it, but the miles I put on it were rugged. Steep climbs, burly descents, creek crossings, and rain storms all took their toll on wear items. Remarkably though, the Element didn’t develop any creaks, clicks, ticks, or other annoying noises. The only issue to note is the cable routing around the crankset. The housing for the rear derailleur runs awfully close to the chainring, so close that the chainring was able to snag the housing at one point, utterly destroying it. Just keep an eye on this area and apply zip ties as needed to keep the housing out of the way. After publishing my review, Rocky got in touch to let me know that the cable routing issue has been resolved. It turns out the bike I was testing was a pre-production model and Rocky has addressed the cable routing around the crank for final production by moving the cable mounts. The Element at your Rocky Mountain dealer will not have this problem. 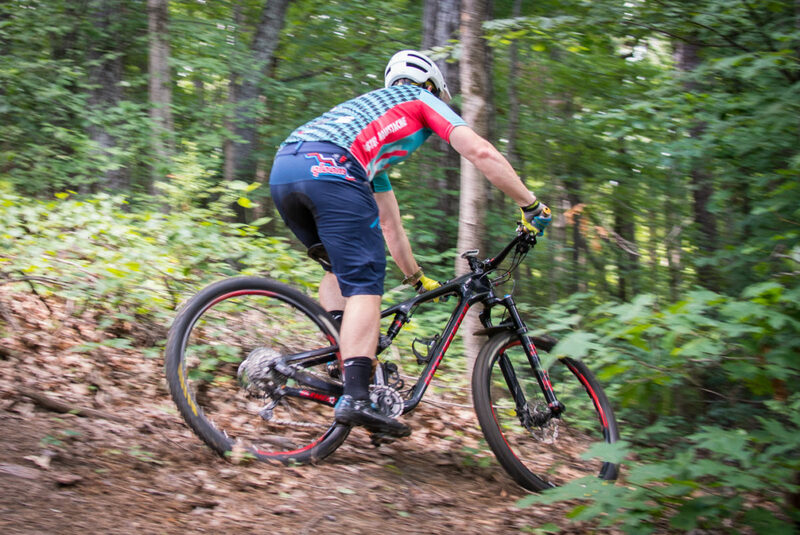 Let’s run through a few of the “must haves” for an XC race bike: impeccable pedaling performance; low weight; stiff chassis; and light, but reliable components. Rocky Mountain’s latest Element is a phenomenal XC race bike, ticking all those boxes, along with a few extra surprises. The extras here are in the details: the Fox 34 fork, the 150mm dropper post, room for two water bottles inside the front triangle, tooled axles for weight savings, future-proofed routing for Di2, wide handlebars, and adjustable geometry, to name a few. 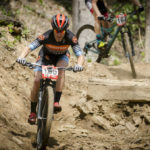 If you’re like me and you like to race in endurance events and also put in big backcountry rides on the weekends, don’t overlook the new Element. It could even make for an excellent bikepacking machine for events like the Colorado and Arizona trail races. There’d be plenty of space for gear in that roomy front triangle with a custom frame bag. Up, across, or down, the Element is much more than a one-trick XC pony. Thanks to Rocky Mountain for lending us the Element for review.